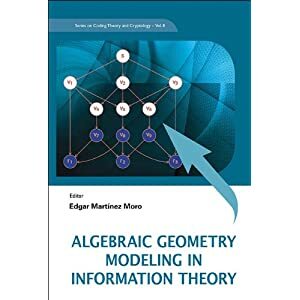 Algebraic & geometry methods have constituted a basic background and tool for people working on classic block coding theory and cryptography. Nowadays, new paradigms on coding theory and cryptography have arisen such as: Network coding, S-Boxes, APN Functions, Steganography and decoding by linear programming. Again understanding the underlying procedure and symmetry of these topics needs a whole bunch of non trivial knowledge of algebra and geometry that will be used to both, evaluate those methods and search for new codes and cryptographic applications. This book shows those methods in a self-contained form.